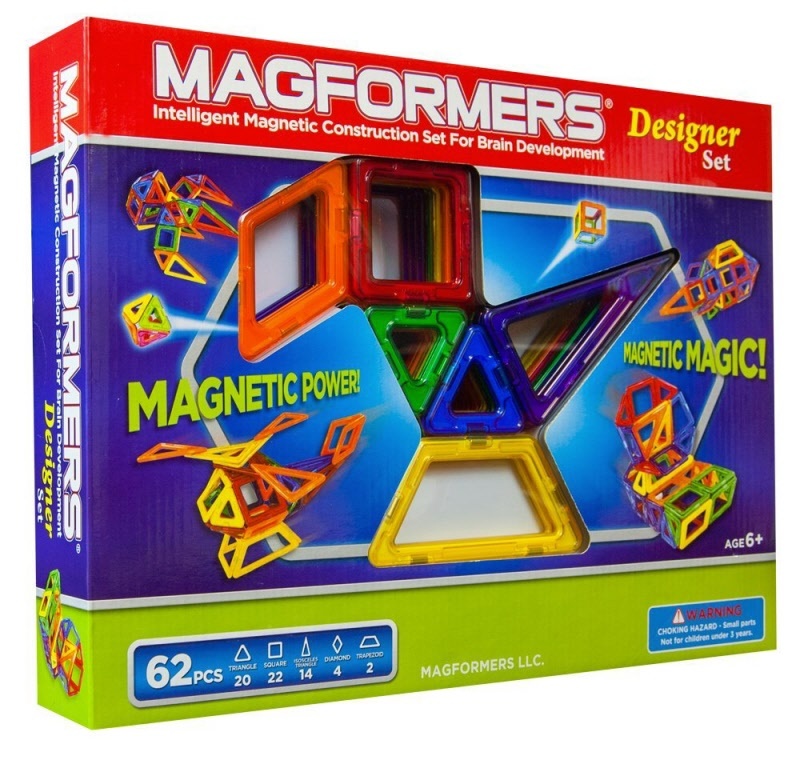 Magformers are colorful, sturdy, plastic shapes with powerful magnets that allow tons of great structures to be built. The high-performance magnets contained in Magformers ensure that they stay in place, even through tough play. Considered one of the best toys to keep in a classroom, Magformers stimulate critical thinking and creativity in children of all ages. Each set of Magformers comes with building ideas inside the box, as well as several illustrations on the packaging itself. Your child will be thinking of awesome new designs all the time! Winning the Best Toy For Kids award in back to back years (2009-10) you can be sure that your kids will LOVE Magformers.